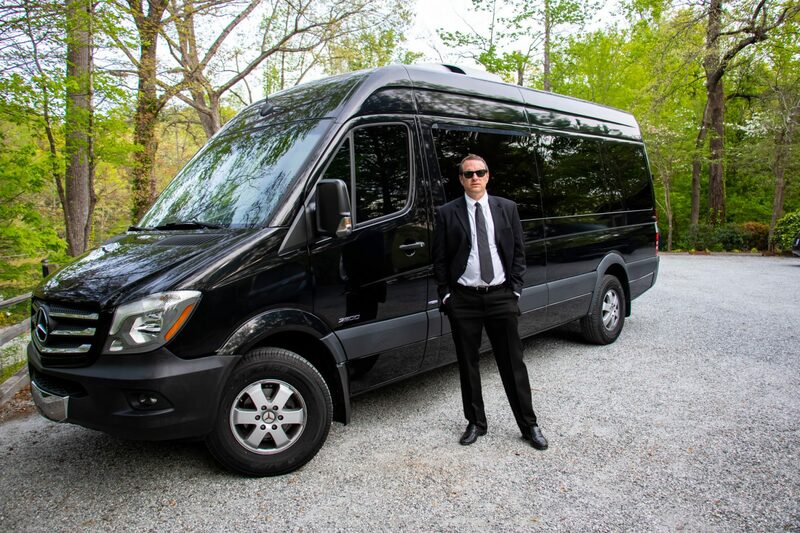 The Van in Black, as a company, was founded in 2018 by Ryan Watts who is the owner/operator of the Van in Black. Ryan has lived in the area for 18 years and has a profound love of the area. He and his wife also run a successful Carolina based travel website that has made Ryan very familiar with all of the local area hot-spots and attractions. An adventure in the Van in Black in always more than just a ride in a van. You are also getting a very knowledgeable guide that is more than willing to help out when needed. The name “Van in Black” has an interesting story behind it. Ryan is also a semi-professional musician and has played in a number of bands. One band was a Johnny Cash tribute band where he played guitar. The band performed all over the East coast year after year so a better form of transportation was needed in order to get the band and all their gear from gig to gig. It didn’t take long before everyone in the band started referring to the van as the Van in Black after Johnny Cash, The Man in Black. The name stuck and here we are. Ryan still performs in various bands although the Johnny Cash tribute band is currently on hiatus. The Van in Black maintains a federal DOT number (#3148254) and an MC number (103375) with the Federal Motor Carrier Safety Administration. This means that the Van in Black is legally allowed to operate across state lines in addition to meeting specific carrier requirements that pertain to safety, reporting, insurance, and procedures. What does this mean to you the customer? It means we take our business and operations seriously but, most importantly, we take the safety of our customers very seriously. The Van in Black is also under contract with a 3rd party organization to manage our safety compliance to ensure that we are meeting all federally mandated safety requirements and industry best practices. This company is actually electronically linked to the Van in Black and monitors all driving logs, inspections, and activity. We are just a simple owner/operator company but felt that this step was important to maintain the highest level of safety for our customers. The Van in Black is mostly a stock Mercedes Sprinter van. However, there have been a few addons and modifications that give the van its unique charm. One in particular that most people find interesting is the fact that the van has an actual train-horn under the hood. It is a real air powered train horn that required the addition of an air tank and compressor to make it operational. It is EXRTREMELY loud but is always a crowd pleaser. There is a group of 10 of us coming to Asheville for the weekend of October 12-14th. We would love to visit several wineries on Saturday the 13th. Can you give me a quote of how much your van would be and how long we could rent it for. Jennifer…Please give us a call at (800)903-2503. We would love to drive you and your friends around to some of our beautiful wineries! I’m looking at organizing a winery tour for my wife’s birthday. it would likely be over the first or second weekend in January, 2019 in the Asheville area. We would want to hit both wineries and breweries if possible around Asheville. Could you let me know if you have availability around that timeframe? Adam…We can setup a custom tour for both wineries and breweries if that is what you want. Please give us a call to discuss the specifics.